*AGREEMENT BETWEEN YOU AND TRAINING LEGENDS LLC FOR THE USE OF WWW.TRAININGLEGENDS.COM. Welcome to www.traininglegends.com. Website (the "Website") which is comprised of various web pages operated by Training Legends LLC (the "Company"). We intend for this Website to be used by adults only and individuals or companies that can form legally binding contracts under applicable law. This Site and Services should not be used by minors. By utilizing this Website, you agree that the terms and conditions of use ("Terms and Conditions of Use") will apply whenever you, the minor participant for which you are parent or guardian or the team for which you are submitting written documentation, participate in the Training Legends LLC sponsored activities and programs referenced herein, activities and programs. If you do not qualify, you are not permitted to use this Site or order or use the Services without permission of a parent or guardian and you do not have our consent to do so. If you do not agree to the Terms and Conditions of this Agreement, you should immediately cease all usage of this Website. Please read all Terms and Conditions carefully and keep a copy of them for your reference. The Website is an E-commerce Website. The purpose of this site is to provide the latest news and products from Training Legends LLC ("Site" and "Services"). Further, Training Legends LLC is providing online access for tournament entries, to preorder tournament merchandise and to book lodging for events run by Training Legends LLC. You must provide (1) all equipment necessary for your own Internet connection, including computer and modem and (2) provide for access to Internet, and (3) pay any fees related with such connection. Your use of this Website is voluntary. The Website is offered to you conditioned on your acceptance without modification of the terms, conditions, and notices contained herein (the "Terms"). Your use of this Website indicates and your use of the Website constitutes your agreement to all such Terms. The terms "the Company," "we," "us," and "our" refer to Training Legends LLC. The terms "you" and "yours" refer to the individual or company registering for or using the Services offered by us on this Website. These Terms and Conditions apply to your use of all of the sites and Services owned or operated by Training Legends LLC, for the benefit of users in the United States of America ("USA") and any other site that we may own or operate in the future (collectively, the "Site"). Unless we say otherwise, all references to the Site in these Terms and Conditions include all such sites. 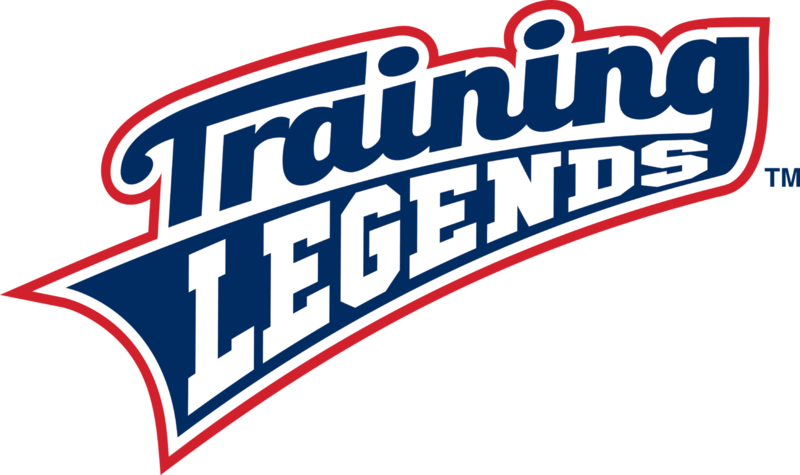 Training Legends LLC agrees to provide the Services that you register for through this Site. You agree to perform the obligations set forth in these Terms and Conditions that are required to allow Training Legends LLC to deliver the Services. We reserve the right to restrict your access to part or all of the Site (including any password protected areas) at any time without notice or liability. The contents of this Site are protected by national and international copyright and trademark laws and are the property of Training Legends LLC. You may not change or delete any author credit, trademark, legend, proprietary or copyright notice. You must follow and observe all additional copyright notices or other restrictions contained in any parts of the Site. Visiting the Website or sending e-mails to the Company constitutes electronic communications. By visiting the Website you consent to receive electronic communications and you agree that all agreements, notices, disclosures and other communications that we provide to you electronically, via e-mail and on the Website, satisfy any legal requirement that such communications be in writing. Training Legends LLC has no obligation to monitor the communications Services. However, Training Legends LLC reserves the right to review materials posted to a communication service and to remove any materials in its sole discretion. Training Legends LLC reserves the right at all times to disclose any information as necessary to satisfy any applicable law, regulation, legal process or governmental request, or to edit, refuse to post or to remove any information or materials, in whole or in part, in Training Legends LLC 's sole discretion. By accepting the Terms and Conditions of Use you agree to receive communications from Training Legends LLC. Upon acceptance of all Terms and Conditions, Training Legends LLC will grant you a non-exclusive, non-transferable, limited right to access and use the Site and the Services for your own personal or your internal commercial use only. You agree not to interrupt, or attempt to interrupt, the operation of the Site in any way. We reserve the right to restrict your access to part or all of the Site (including any password protected areas) at any time without notice or liability. You activate the Services by either: (a) using the Training Legends LLC Website (www.traininglegends.com) or (b) registering to use the Website. You are responsible for providing Training Legends LLC with the correct information about you when you register for the Training Legends LLC Service. Required details may include, without limitation, e-mail address and method of payment details. Account details may be updated within the user profiles for the user's account within the Website. You are responsible for your own continuous compliance with these Terms and Conditions and other guidelines released by us from time to time. You shall not, and shall not permit others to, engage in activities prohibited by us, including, without limitation: (a) intentionally accessing data not intended for your use; (b) attempting to breach security or authentication measures without proper authorization, or interfere with this Site and any products or Services offered on the Site; (c) taking any action to obtain Services to which you are not entitled; or (d) assisting or permitting any persons in engaging in any of the activities described above. Without limiting other rights or remedies set forth in these Terms and Conditions or as otherwise available by law or in equity, we may immediately issue a warning, temporarily suspend, indefinitely suspend or terminate your access to this Website for violation of any of Terms and Conditions. Without limiting other rights or remedies set forth in these Terms and Conditions or as otherwise available by law or in equity, we may block your access to any further access in whole or in part: (a) if you breach these Terms and Conditions; (b) if we are unable to verify or authenticate any information you provide to us, should we elect to engage in such verification; or (c) if we believe, in our sole discretion, that your actions may cause legal liability for you, other users, us or third parties. Except as expressly provided otherwise, all Services sold, licensed or provided through this Website are governed by these Terms and Conditions and are provided on an "AS IS" basis. Training Legends LLC does not make any express or implied warranties, conditions or representations to you with respect to the Services, third party work provided in connection with this Website or otherwise regarding these Terms and Conditions, whether oral or written, express, implied or statutory. No representation or other affirmation of facts, including, but not limited to, statements regarding the performance of the Services which is not contained in these Terms and Conditions, shall be binding on Training Legends LLC. You acknowledge and agree that Training Legends LLC shall not be liable for any error, omissions, defect, deficiency or nonconformity in the Services. Without limiting the foregoing, Training Legends LLC expressly excludes and disclaims any implied warranty or condition of merchantability, accuracy or fitness for a particular purpose or that the Services (or your use hereof) will be error free or uninterrupted. You assume all risks associated with the Services. Neither Training Legends LLC nor its officers, directors, employees, shareholders, agents, or representatives shall be liable for any incidental, indirect, special, exemplary, consequential or punitive damage or other similar type of damages, including, but not limited to, damages or costs incurred as a result of loss of time, loss of savings, loss of data, loss of profits, loss of goodwill, loss of business opportunities or software error, whether foreseeable or unforeseeable, that may arise out of or in connection with these Terms and Conditions, including but not limited to, damages or costs resulting from the use of or inability to use the Services, even if Training Legends LLC has been notified of the possibility or likelihood of such damages or costs occurring, and whether such liability is based on contract, tort, warranty, negligence, strict liability, products liability or otherwise. Training Legends LLC is not responsible for any loss or damage that you may suffer as a result of you not using the Services correctly or if you fail to comply with these Terms and Conditions or any other instructions given to you by Training Legends LLC. The Website may contain links to other Websites ("Linked Sites"). The Linked Sites are not under the control of Training Legends, LLC is not responsible for the contents of any Linked Site, including without limitation any link contained in a Linked Site, or any changes or updates to a Linked Site. The Company is providing these links to you only as a convenience, and the inclusion of any link does not imply endorsement by the Company of the Linked Site or any association with its operators. Certain services made available via the Website are delivered by third party sites and organizations. By using any product, service or functionality originating from the www.traininglegends.com domain, you hereby acknowledge and consent that the Training Legends LLC may share information and data with any third party with whom the Company has a contractual relationship to provide the requested product, service or functionality on behalf of www.traininglegends.com users and customers. By use of this Website, you understand and agree to the collection of your personal information that you provide to us. This information may be shared with our designated tournament management provider strictly for the use of and in connection with tournament scheduling and participating in Training Legends LLC tournaments or other tournaments managed or operated by Training Legends LLC. For example, we may collect information when you create an account, create a profile, use the interactive areas and features on our site, make a purchase, sign up for events, and when you e-mail, call, or otherwise communicate with us. The types of personal information we collect include, for example, name, postal address, phone number, e-mail address, account information (e.g., credit card and online registration information), and other information that you choose to provide. We may also collect personal information about you from other third parties, such as demographic firms, to make our future services and marketing efforts more efficient and personalized for you. We may combine all information we collect and may disclose this information within company or our service providers. All content included as part of the Website, such as text, graphics, logos, images, as well as the compilation thereof, and any software used on the Website, is the property of the Company or its suppliers and protected by copyright and other laws that protect intellectual property and proprietary rights. You agree to observe and abide by all copyright and other proprietary notices, legends or other restrictions contained in any such content and will not make any changes thereto. Defame, abuse, harass, stalk, threaten or otherwise violate the legal rights (such as rights of privacy and publicity) of others; Publish, post, upload, distribute or disseminate any inappropriate, profane, defamatory, infringing, obscene, indecent or unlawful topic, name, material or information, as determined in the sole discretion of Training Legends LLC; Upload files that contain software or other material protected by intellectual property laws (or by rights of privacy of publicity) unless you own or control the rights thereto or have received all necessary consents; Upload files that contain viruses, corrupted files, or any other similar software or programs that may damage the operation of another's computer; Advertise or offer to sell or buy any goods or services for any business purpose, unless such Communication Service specifically allows such messages; Conduct or forward surveys, contests, pyramid schemes or chain letters; Download any file posted by another user of a Communication Service that you know, or reasonably should know, cannot be legally distributed in such manner; Falsify or delete any author attributions, legal or other proper notices or proprietary designations or labels of the origin or source of software or other material contained in a file that is uploaded. Restrict or inhibit any other user from using and enjoying the Website or any related Services; Violate any code of conduct or other guidelines which may be applicable for any particular Communication Service; or Harvest or otherwise collect information about others, including e-mail addresses, without their consent. Further, should a violation or breach of this provision result in a claim, loss, expenses, damages and costs, including, without limitation, direct, incidental, consequential, exemplary and indirect damages, or attorneys' fees against Training Legends LLC, their officers, agents, affiliates, subsidiaries, employees, and other activity or program participants, sponsoring agencies, sponsors, advertisers, and, if applicable, owners and lessors of premises used for Training Legends LLC sponsored activities or programs, activities and, in favor of any third party, those responsible for such breach will indemnify, defend and hold harmless, reimburse and fully compensate Training Legends LLC, and their officers, agents, affiliates, subsidiaries, employees, and other activity or program participants, sponsoring agencies, sponsors, advertisers, and, if applicable, owners and lessors of premises used for the activity or program, from and for any and all such claims, losses, expenses, damages and costs, including, without limitation, direct, incidental, consequential, exemplary and indirect damages, and reasonable attorneys' fees. You will have the option to connect your Training Legends LLC Website account to third party social media or online payment accounts. By connecting your Training Legends LLC Website account to your third-party account, you acknowledge and agree that you are consenting to the continuous release of information about you to others (in accordance with your privacy settings on those third-party sites). If you do not want information about you to be shared in this manner, do not use this feature. The Website is controlled, operated and administered by the Company from our offices within the USA. If you access the Website from a location outside the USA, you are responsible for compliance with all local laws. You agree that you will not use the Company's content accessed through the Website in any country or in any manner prohibited by any applicable laws, restrictions or regulations. You agree to indemnify, defend and hold harmless Training Legends LLC our subsidiaries and affiliates, Training Legends LLC officers, directors, employees, agents and third parties, independent contractors and suppliers for any losses, costs, liabilities and expenses, demand, action, cost and expense, including reasonable attorneys' fees, relating to or arising out of, without limitation, (1) Your use of or inability to use the Website or services; (2) Any user postings made by you, your violation of any terms of this Agreement or your violation of any rights of a third party; (3) You giving us any information which is inaccurate; (4) Your breach of any warranty, representation or other obligation set forth in these Terms and Conditions; (5) Your violation of any applicable laws, rules or regulations; (6) Your negligence or willful misconduct; (7) Any dispute or action between you and any third party, including parties selling or advertising goods or Services on this Website; and (vi) Your use of this website or the products or Services of Training Legends LLC or any third party. Training Legends LLC reserves the right, at its own cost, to assume the exclusive defense and control of any matter otherwise subject to indemnification by you, in which event you will fully cooperate with the Company in asserting any available defenses. THE INFORMATION, SOFTWARE, PRODUCTS, AND SERVICES INCLUDED IN OR AVAILABLE THROUGH THE WEBSITE MAY INCLUDE INACCURACIES OR TYPOGRAPHICAL ERRORS. CHANGES ARE PERIODICALLY ADDED TO THE INFORMATION HEREIN. TRAINING LEGENDS LLC AND/OR ITS SUPPLIERS MAY MAKE IMPROVEMENTS AND/OR CHANGES IN THE WEBSITE AT ANY TIME. TRAINING LEGENDS LLC AND/OR ITS SUPPLIERS MAKE NO REPRESENTATIONS ABOUT THE SUITABILITY, RELIABILITY, AVAILABILITY, TIMELINESS, AND ACCURACY OF THE INFORMATION, SOFTWARE, PRODUCTS, SERVICES AND RELATED GRAPHICS CONTAINED ON THE WEBSITE FOR ANY PURPOSE. TO THE MAXIMUM EXTENT PERMITTED BY APPLICABLE LAW, ALL SUCH INFORMATION, SOFTWARE, PRODUCTS, SERVICES AND RELATED GRAPHICS ARE PROVIDED "AS IS" WITHOUT WARRANTY OR CONDITION OF ANY KIND. TRAINING LEGENDS LLC AND/OR ITS SUPPLIERS HEREBY DISCLAIM ALL WARRANTIES AND CONDITIONS WITH REGARD TO THIS INFORMATION, SOFTWARE, PRODUCTS, SERVICES AND RELATED GRAPHICS, INCLUDING ALL IMPLIED WARRANTIES OR CONDITIONS OF MERCHANTABILITY, FITNESS FOR A PARTICULAR PURPOSE, TITLE AND NON-INFRINGEMENT. Training Legends LLC reserves the right, in its sole discretion, to terminate your access to the Website and the related services or any portion thereof at any time, without notice. You agree that no joint venture, partnership, employment, or agency relationship exists between you and the Company as a result of this Agreement or use of the Website. The Company's performance of this Agreement is subject to existing laws and legal process, and nothing contained in this Agreement is in derogation of the Company's right to comply with governmental, court and law enforcement requests or requirements relating to your use of the Website or information provided to or gathered by the Company with respect to such use. If any part of this Agreement is determined to be invalid or unenforceable pursuant to applicable law including, but not limited to, the warranty disclaimers and liability limitations set forth above, then the invalid or unenforceable provision will be deemed superseded by a valid, enforceable provision that most closely matches the intent of the original provision and the remainder of the Agreement shall continue in effect. Unless otherwise specified herein, this Agreement constitutes the entire Agreement between the user and the Company with respect to the Website and it supersedes all prior or contemporaneous communications and proposals, whether electronic, oral or written, between the user and the Company with respect to the Website. A printed version of this Agreement and of any notice given in electronic form shall be admissible in judicial or administrative proceedings based upon or relating to this Agreement to the same extent and subject to the same conditions as other business documents and records originally generated and maintained in printed form. It is the express wish to the parties that this Agreement and all related documents be written in English. Training Legends LLC reserves the right, in its sole discretion, to change the Terms and Conditions under which the Website is offered. The most current version of the Terms will supersede all previous versions. Training Legends LLC encourages you to periodically review the Terms to stay informed of our updates. This Agreement and all Terms and Conditions shall be governed and interpreted in accordance with the laws of the State of Georgia without regard to its conflicts of laws principles. No other contracts shall apply to or govern these Terms and Conditions. By using this Website you hereby consent to the exclusive jurisdiction and venue of courts in Georgia in all disputes arising out of or relating to the use of the Website. Use of the Website is unauthorized in any jurisdiction that does not give effect to all provisions of these Terms, including, without limitation, this section. You consent to the exclusive jurisdiction and venue of the state and federal courts in Cobb County, Georgia, U.S.A., and you irrevocably commit to the jurisdiction and venue of said courts and waive any right to object thereto. The parties further agree that these Terms and Conditions shall be deemed to have been entered into, executed and performed for all purposes within the State of Georgia.